Your child will learn the basics of computer programming while creating their own version of Flappy Birds. At the Brownsburg Library's computer training lab. Your child should be at least 7 to get the most out of the material. The upper range is around 11 years old. But if you have a 12 year-old, we won't turn them away. It will last about an hour. Will the two classes have different content? No, both classes will cover the same material. Just sign up for the one that works best with your schedule. It helps them to think logically and to improve their troubleshooting skills. Steve Jobs said, "Computer science is a liberal art. It's something that everyone should be exposed to, everybody should have a mastery of to some extent." Dan Hersam and John Daley. We are software engineers and parents. We will be teaching them basic programming using the curriculum developed by code.org. 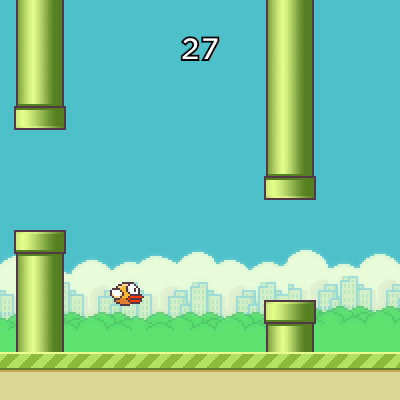 Your kids will be able to create their own version of the popular Flappy Birds game. Nope. Just bring your child to the library and we'll do the rest. Absolutely not. Girls are every bit as capable of excelling in computer programming. Many large technology companies are actively looking for more female engineers. Is this only for kids who want to be programmers? No. Learning how computers work can help your child just as much as a knowledge of biology or physics helps them understand how the world works.